After 6 rounds of the Midlands XC Series, in a race season that seems to have flown by, 4 riders from the TORQ MTB Team headed to the 7th and final round of the Series at the picturesque Dudmaston Hall, a 17th Century Country House and Estate in Shropshire, with the series titles all at stake. 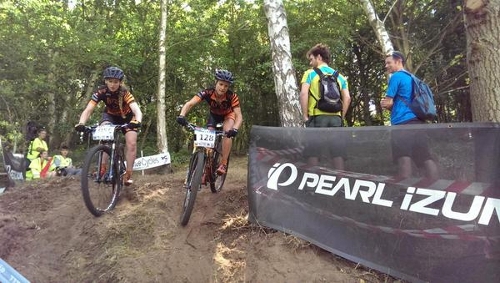 In the Women’s Elite race, it was a fierce battle between TORQ Team riders Jo Clay and Jules Toone, as both incredible ladies were after the top spot – for both on the Day and in the Series Overall. Coming into the final round (with Jo and Jules tied on points for the Series win), it would be whoever crossed the line first on the day that would take the Overall win. After 4 laps of the course, it was Jules who came out on top and so she took both the win on the Day and the Series Overall, followed shortly by Jo Clay in 2nd, who therefore automatically took 2nd Overall in the 2015 Midlands XC Series! In the Men’s race, after a long season of racing, Alex Welburn decided to sit this round out, to recover ready for the final round of the National XC Series and with Lee Gratton away on holiday, it was down to Chris Andrews to fly the TORQ flag. Up against a small but strong pack of riders, Chris put in an exceptional ride, to take 2nd place on the day, securing him 3rd Overall in the Series. Despite Alex’s absence, with the top 4 rounds counting, he took 2nd Overall in the Men’s Elite Series podium with Lee Gratton in 9th. Midlands XC Series 2015, Round 7 Dudmaston Estate from X Trail Films on Vimeo. The team have put in some exceptional performances at the Series this year, with no less than 15 podium finishes and the riders well and truly dominantly the Elite Series podiums. As we round out the Series for 2015, we owe a huge thank you to race organiser James Hampshire and the team behind the Midlands XC Series for the support and hard work this season.